​ Professional, commercial flat roof repair / replacement. 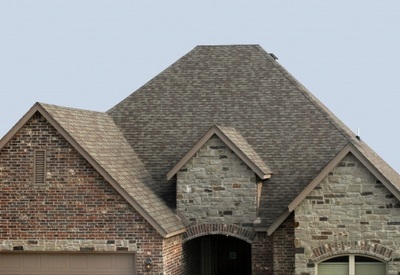 Residential roofing including flat and shingle roofs. GTA Ontario Flat Roofers serves the residents and business owners of Mississauga for all types of replacement roofing and repairs. GTA wants all Mississauga residents to know that they are trusted professionals who believe in quality products, exacting workmanship and personal attention to their customers. 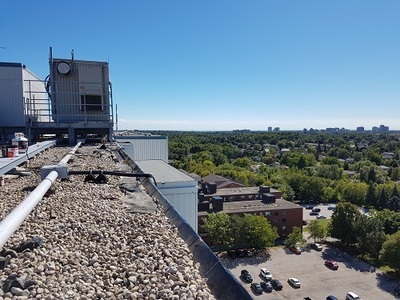 Mississauga demands excellent workmanship and like most other great cities in the north can suffer from extreme weather, which can cause damage to any flat roof or shingle roofs. Flat roof resurfacing, flat roof replacement and shingled roofs are what we specialize in, particularly industrial and commercial flat roofing systems. ​Our roofing company also provides residential flat roof and shingle work with dedication to complete customer satisfaction. If you live in Mississauga, we are your best choice to get the roof work done, whether its inspection, repair or full roof replacement. Please review the other services we offer Mississauga residents and companies. ​​Roofing and Home Services in Mississauga. 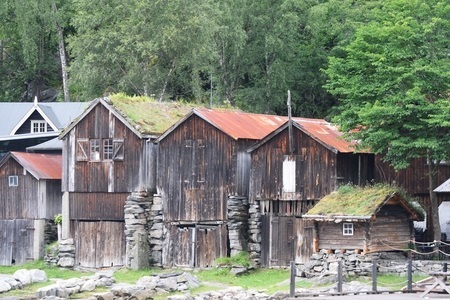 The first activity of the settlement of Mississauga traces back to the early 1700’s. A branch of the Ojibwas ventured south from Lake Huron to the mouth of the Credit River and Burlington Bay. After 100 years, (in 1805), of interaction and trade with the French and British, the tribe signed a treaty with the British Crown acceding 75,000 acres of land to the Crown for settlement known as the “Mississauga Purchase” and the area up to what is now known as Eglinton Ave., became the Credit Indian Reserve. Settlement was swift and led to the next event known as “The Second Purchase”. The British Crown acquired 600,000 acres of land and is primarily what is known today as Peel Region. In 1847 the Mississaugas moved on to Hagersville, an area near Brantford where they resettled. Meanwhile, during the acquisition period and shortly thereafter, Crown settlements began to emerge. Hamlets of Dixie, Merigold’s Point where Warren Clarkson arrived in the area in 1808 and began to build his businesses along side the arrival of the railway and in 1855 the final name of Clarkson was established. Erindale, first known as Toronto, was established around 1825 and grew through the years with name changes such as Springfield and finally, Erindale named after founder Reverend James McGrath's homeland of Ireland. Cooksville emerged first as Harrisville in 1808, and by 1820, Jacob Cook had become one of the foremost developers of business in the area. He started a stagecoach service for mail and established a major inn at the corner of Hurontario and Dixie and earned its name of Cooksville by 1836. Mississauga residents understand the importance of maintenance; it cannot be overstated. Any small crack or bubble can lead to larger openings and breaches which will lead to leaks and other problems that will get worse very quickly. What might have been easily repaired becomes a new roof, much more costly and, sadly, unnecessary. Your roof is exposed to both heat and frigid cold and the most damaging of mother nature's arsenal, hail storms. Most Mississauga residents know that If your roof has shingles twelve years or older, you need to have the roof inspected for deficiencies. 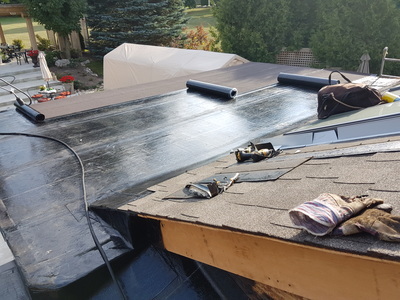 Modified bitumen roof systems combines layers of asphalt membrane and a rubber compound which actually acts as the waterproof sealing this system is known for. EPDM is a rubber roofing membrane that has been used in the low-slope commercial roofing industry for more than 50 years. EPDM offers superior weatherability, solid wind uplift resistance, flexibility. EPDM is an oil based product (Imagine a flattened bike tire), that can be installed fully adhered or with small aggregate ballast. TPO is a single-ply reflective roofing membrane made from melding palstic products with rubber material together. It is usually installed as fully adhered or mechanically attached leaving the attractive white finish exposed. Excellent refraction of UV rays helps keep the surface of the roof and the building cool during summer months. 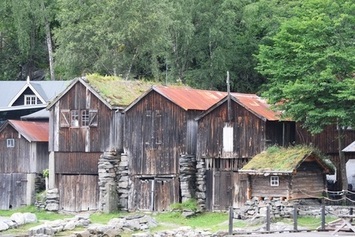 ​The environment can play a role in your roofing decision. Each system has their own eco-friendly qualities, some more than others. The system you decide to go with may be more responsibly manufactured in terms of recycle-ability, while others may be more dedicated to environmentally during active use such as its weather resistant qualities or solar resistant qualities. Green roofs come up a lot in our conversations with customers. There is a move on to increase the use of this type of covering and we are happy to discuss possibilities with you. Ballasted types of roofs can easily be redesigned as eco-friendly using organic materials such as soil to create an exciting planting area. The system features heat-welded seams for permanent water tightness. There are PVC systems for fully adhered, mechanically attached or ballast secured installation. PVC is an advanced version of TPO. White reflective Cool Roof surface for a reduction in air conditioning costs. It is puncture and tear resistant in thicker gauges. 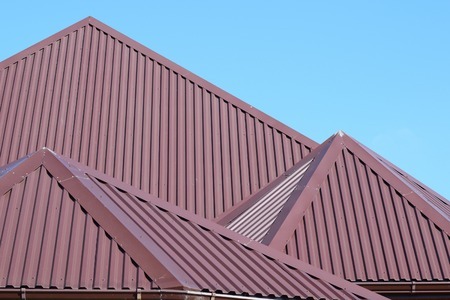 Metal materials of zinc and aluminum along with acrylic finish usually make up metal sheet roofing panels. Metal can be a more expensive alternative but the differential in cost is easily made up by the longer lifespan and reduced maintenance. There are also some energy benefits as well, even in the winter months. Drip edges and roofing flashings to protect areas prone to leakages around chimneys, roof vents and skylights. Safety equipment, employee training and safety incentive programs keep our insurance current. Disclaimer: These might not be the right pictures..
We have been fixing roofs in Mississauga for a while now. Our full understanding of: seam and access points, flat roof construction, roof drainage, drip edges, exhaust vents, flashing, underlays, gutters, pitched and flat surfaces and assessing damage from fires in order to repair roof damage accurately and safely makes us the roofers to call first. Flashing joints around vents, chimneys, skylights and any other roof protrusion must be carefully dealt with as well. We care, you'll know that when we meet you. And remember, we are experts on the application of flat roofing systems. We do not have a ‘sales team’. We will serve you directly. And we are nice guys. If you don’t need replacement, we will tell you.